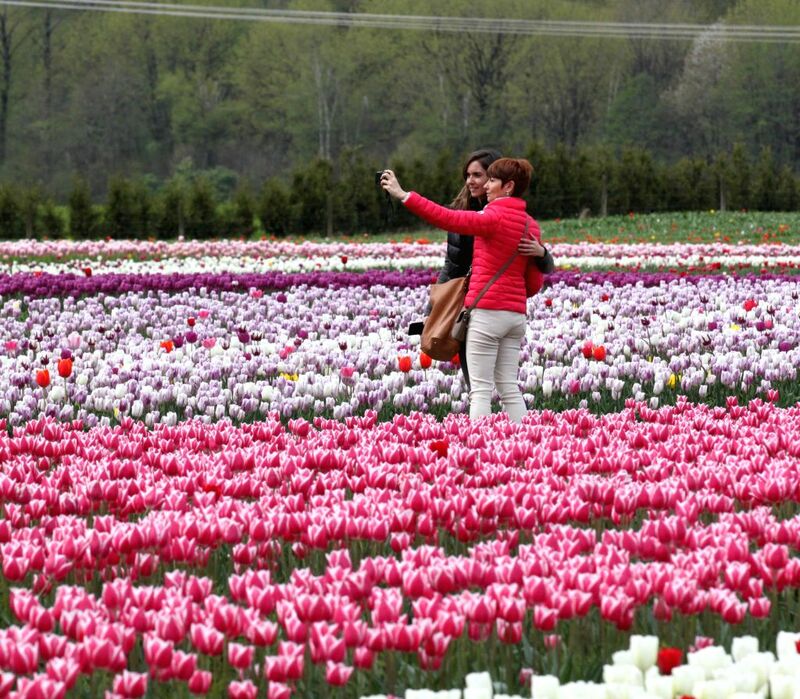 VANCOUVER, April 11, 2015 - Tourists take selfie among the tulips in Fraser Valley of Canada's British Columbia, on April 10, 2015. More than 30 acres of farmland has been planted with 25 varieties of tulips and millions of bulbs in Fraser Valley. The two-week-long Tulip of the Valley Festival attracts thousands of visitors each year since 2006.